Your sofa is that piece of furniture in the house that takes a lot of beating from sitting for hours to kids jumping on them and pets shedding hair and dander on the couch. Hence, it is necessary to clean it regularly so it will last longer. We teach you how to clean sofa cushions. Keeping your couch in a pristine condition is not easy, but if you clean it at regular intervals, you will prolong its life and save money in the process. Here is how to clean sofa cushions. 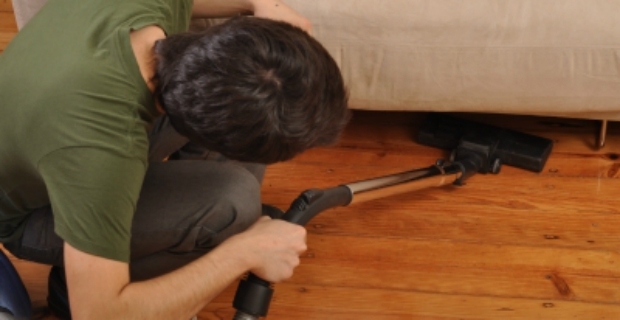 Use your vacuum cleaner to remove lint and tiny pieces of hair or dirt that accumulated on the cushion. Take the cushions outside and shake them to get rid of the dust. Use a stick to get the maximum dirt out. Get a damp towel to clean minor spots. If there are tough stains, use a commercial cleaning solution, but test it first in an inconspicuous area to avoid ruining your furniture. Carefully remove the covers and check for washing instructions before putting them in the machine. Remember leather cannot be washed in a machine even though the covers may be removable. Air dry the cushion covers outside or use a ventilator to hasten the drying process. You have to remove dirt by using a vacuum cleaner. Use a fabric steam cleaner to clean the upholstery. If you do not have one, rent a commercial cleaner. Knowing how to clean sofa cushions properly can save you a bundle of money in the long run. Besides, sitting on a couch that is clean is more pleasant than lounging on filthy or pest-infested chairs. It is also important to keep your sofas clean for sanitation and hygienic purposes.